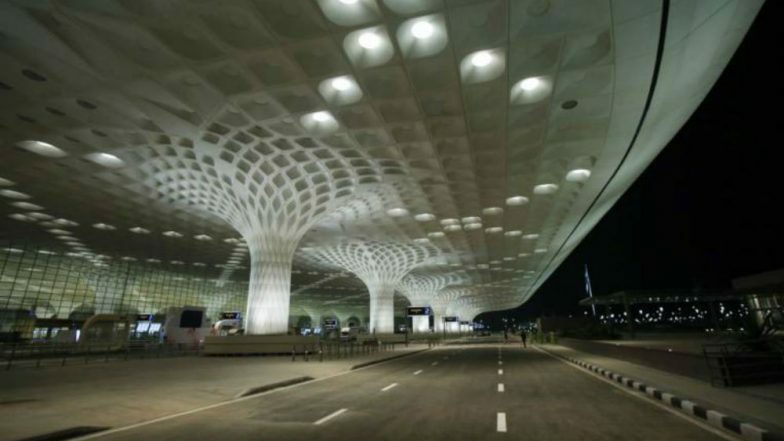 Mumbai, March 2: The Chhatrapati Shivaji International Airport (CSIA) in Mumbai received a threat call on Saturday following which the offices of various airlines were evacuated. According to a tweet by ANI, the Bomb Threat Assessment Committee (BTAC) at Mumbai International airport was convened today to assess a threat call. Reports inform that the BTAC declared the call 'non-specific'. According to reports, reports inform that the threat call was received around 11 am at the airport and was later classified as “non-specific”. As a precautionary measure, BTAC has evacuated some areas of Level 2, 3 & 4 at Terminal 2. Reports inform that all the offices at the departures (level 4), pre-security hold area and the arrivals (level 2) area were evacuated. Mumbai International Airport to Witness Major Runway Repair Work in 2019, Flight Services to Be Disrupted From Feb to April. The runway will be was closed till 5 pm as repair and maintenance work is being carried every Tuesday, Thursday and Saturday. Reports inform that the repair work will continue till March 30. Mumbai Airport to Be Partially Shut for 22 Days in February and March 2019. Earlier this month, the Navi Mumbai police in Maharashtra had registered an offence against the unidentified caller who had threatened to hijack an Air India aircraft and take it to Pakistan. Reports inform that the call had been made to a Navi Mumbai-based call centre which provides service to the national carrier. After the threat call, Chhatrapati Shivaji Maharaj International Airport in Mumbai was put on high alert and the security there was beefed up.